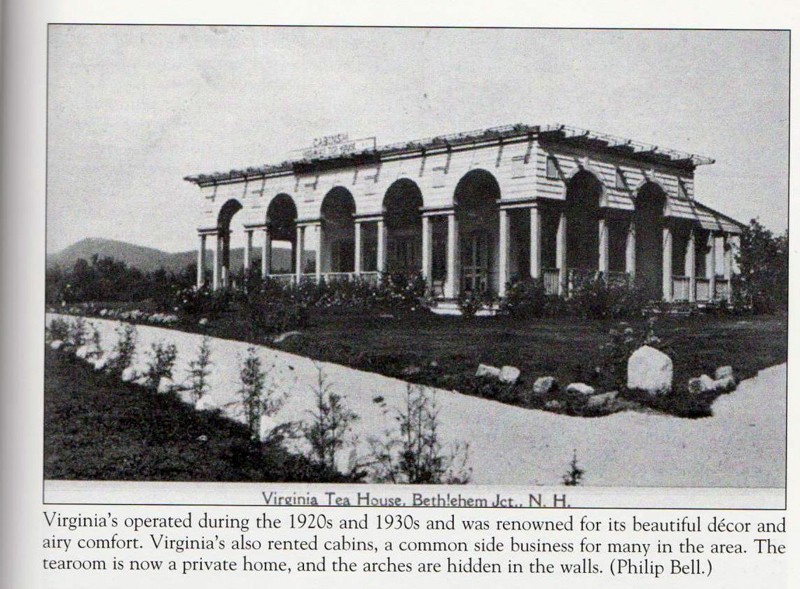 The latest word in Tea Rooms as of July 24th, 1920 is found in the Virginia Tea House which just opened east of town near Bethlehem Junction by way of Twin Mountain. The building is Colonial in style, with a broad veranda running around three sides. The piazza chairs and tables are painted yellow and are restful and interesting. Inside there is a lot to admire. The large stone fireplace is a thing of beauty, while the wonderful old mahogany sideboard, secretary, and pineapple high boy are genuine antiques, as are the chairs which are flower decorated and have been in the family fifty years. Three mahogany tables, brass candlesticks and other beautiful articles of the Colonial period make the room one of the most attractive in the whole mountain region. The china to be used in the tea room is decorated and green, harmonizing with the furniture and decoration. Mrs. Virginia Lawrence is the owner and manager of this unique place. 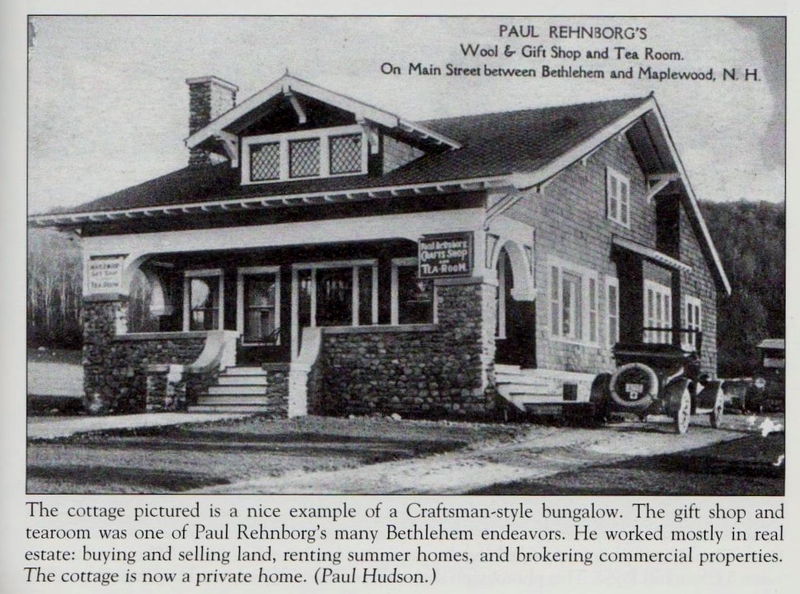 Another tea room (circa 1920s) in Bethlehem was owned by Paul Rehnborg. 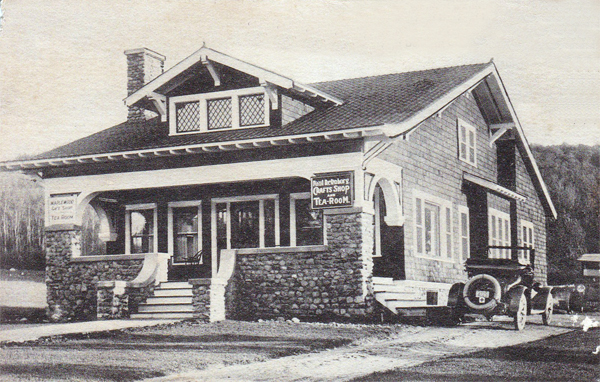 It was located on Main Street between Bethlehem and Maplewood, NH.